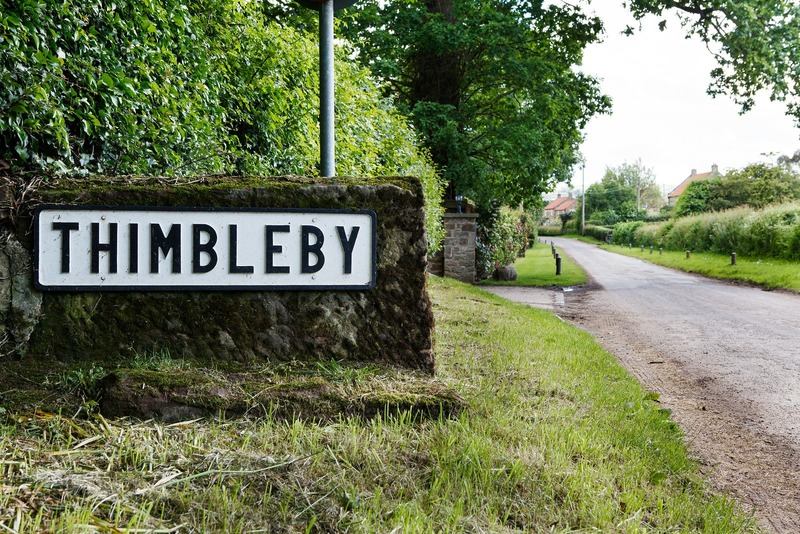 Woodlands Farm offers Guests Award Winning ‘Luxury Rural Accommodation’ in the picturesque village of Thimbleby, near to Osmotherley, on the western edge of the North York Moors National Park. In Spring 2017, after sympathetically converting a stable and rebuilding an outbuilding, we now offer guests a choice of accommodation to suit their individual needs as well as the ability to cater for group bookings. 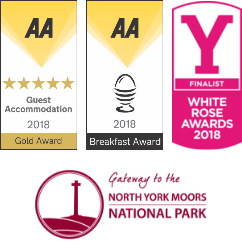 We are AA 5 Gold Star Rated for Guest Accommodation and also hold an AA 5 Star rating for Self-Catering – making us one of only a handful of businesses nationally to hold 5 stars for the two categories. Paul and Amy Callin are the Owners of Woodlands Farm; and since moving to the property they have carried out extensive renovation and maintenance work before opening the business in 2014. Amy previously trained at Leith’s School of Food and Wine in London and after working as a Freelance Chef in London returned to Yorkshire to work as a Chef Tutor for Bettys Cookery School in Harrogate for 9 years. Paul grew up in an Award Winning B&B in an Old Lighthouse and has returned to his roots in hospitality, after pursuing a career in Finance. We are a husband and wife team with the help of our two young daughters, Chloe and Bella. 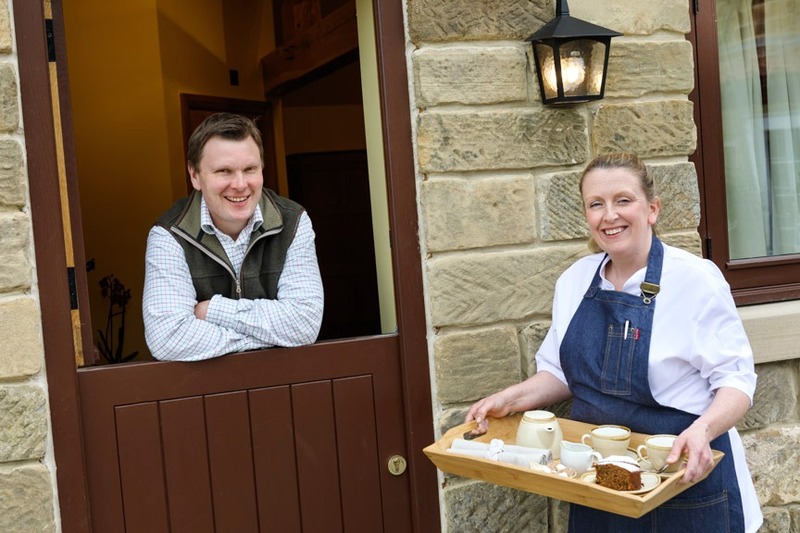 We are a proud supporter of local businesses, from the sourcing of the oak furniture and beds in the rooms, to the provenance of the food served at breakfast. We look forward to welcoming you to Woodlands Farm soon.